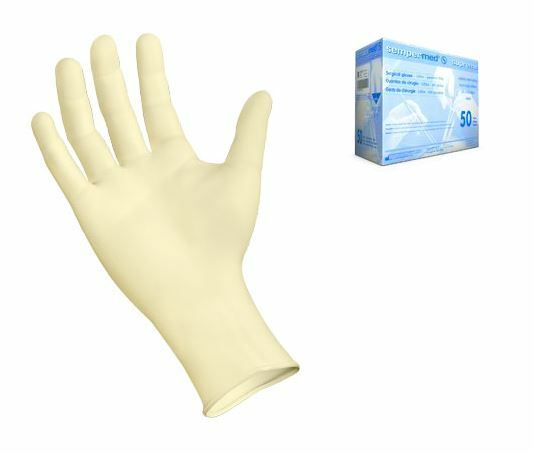 Sempermed Supreme surgical gloves are anatomically designed to reduce hand fatigue and increase comfort. They are powder-free to eliminate aerosolization and skin irritation. A special multi-layer copolymer composition provides optimal protection during surgery. 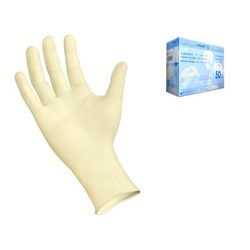 Hand-specific, sterile, powder-free, ivory-colored gloves with a micro-textured surface. Each glove has beaded cuffs and is intended for single use. 10.6" in length with a 0.27mm fingertip thickness. Manufactured by Sempermed USA. Sold 50 pairs per box.